Oak wood doors have become ever more popular within the home and are often the wood of choice used in construction. The thing that makes oak doors so attractive is the versatility, whether you’re after a traditional look or feel or something modern and design lead, there will be an oak door to suit your requirements. The wood itself gives a nice warm and radiant feel, and can be finished to a variety of shades. 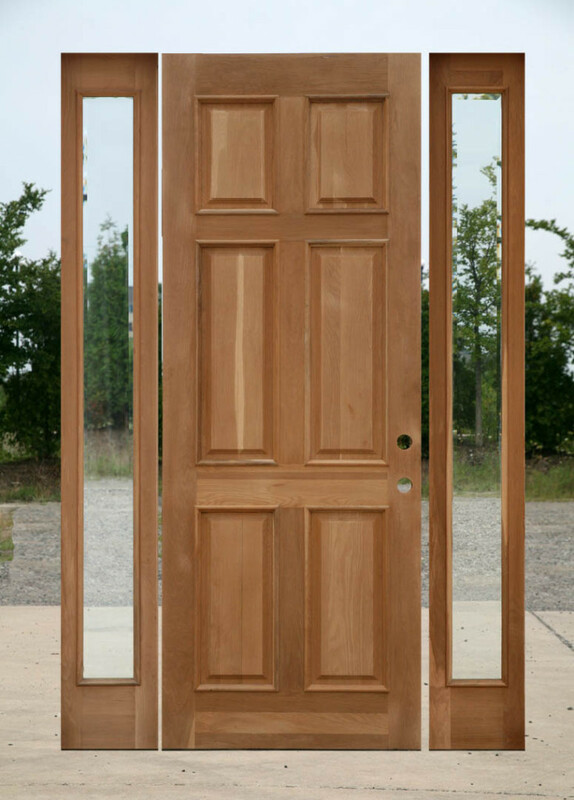 Oak doors are perfect for both internal and external use, and can be purchased un-finished or finished. We are going to explain some of the lingo, and offer some tips and advice surrounding oak doors. A pre-finished door will have already been oiled, waxed or varnished, and you should be able to ask the manufacture which products and shades have been used. This may be important if you ever decide to change the finish or maintain the door for wear and tear. Keep a note of the information. Unfinished, or natural doors, come as a blank canvas. There are a huge variety of products available which will offer alternative looks and shades, from varnishes and wood oils to waxes and stains. It’s important to read up on any products before applying them, as some can dry darker or lighter than stated, but the tin should let you know if this is the case. Veneered wooden doors are often hollow, or consist of a cheaper wood being used which is then coated with a layer of oak to finish. The quality of the door will depend on the thickness of the veneer (the oak layer) and the wood used within this. The hollow versions are often very light, and can be prone to damage. You may find that veneered doors come with advice stating that certain products should not be used on them, this is in case they seep through and interfere with the glue bonding the two woods together. A lot of people love the natural wood look an internal oak door offers, and want to keep this within the home. It isn’t just a case of using clear products, as clear products will bring out the natural colours of the wood, leaving a darker and more golden feel. A great way to check how your oak door will look if you use a clear products is to apply some water to a small area, as wet wood looks very similar to wood treated with clear products. The closest you’ll be able to get to a fully natural look will take some experimenting, as clear products will make your doors darker, you’ll need to add a little white before applying them. It’s essential to do a patch test, as how much white will depend on the wood. Another option is to use a clear wax polish. If a clear wax polish is used on a natural or bare oak door, the colour should stay pretty much the same. The only problem and consideration is whether the wax will be durable enough over time. As internal doors aren’t often exposed to the elements, and it’s only really the handles which are continually touched, a wax finish can be perfectly fine.